This week has been very full. I've been working on my book tour, getting everything ready for the book launch (3 DAYS! 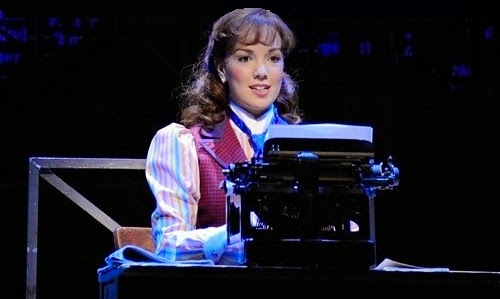 ), Etsy orders, making a study guide for It Took a War, figuring out Createspace and Amazon...it's mostly the latter that caused me to sing, "I HAVE NO CLUE WHAT I'M DOING!" But don't worry, everything is falling into place! I thought you all might enjoy seeing the entire cover for It Took a War, complete with The White Rose Press logo on the back and spine! As I mentioned, I'm creating a study guide (aimed for middle school) for It Took a War. 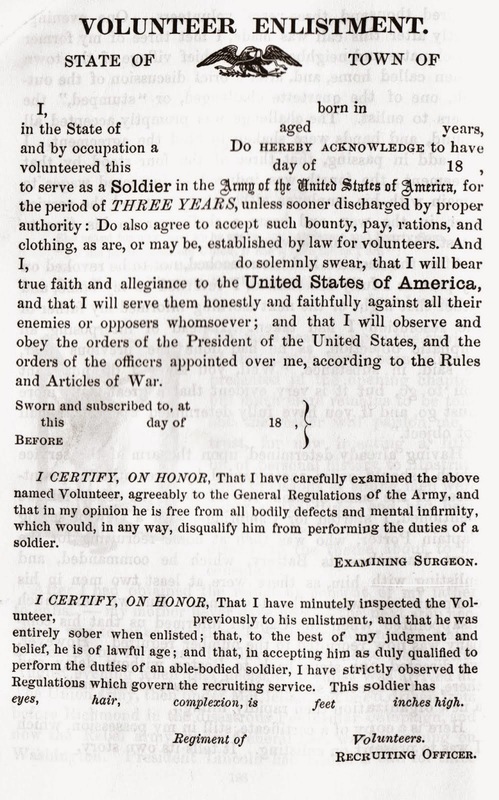 It's complete with an authentic volunteer enlistment paper that students can sign! I'll be sharing more about the study guide on my sister's blog next week, so keep an eye out! I'll be showing up on three blogs come Monday. 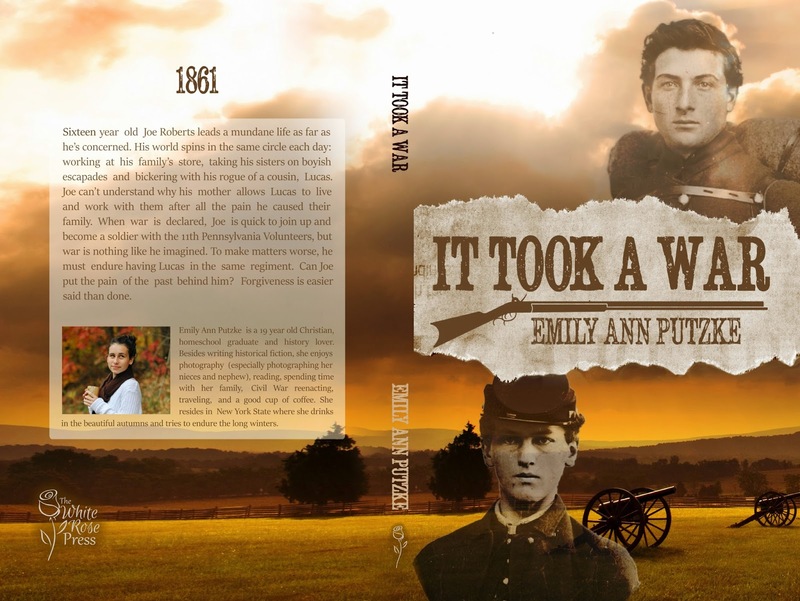 Emily Chapman is doing a review of It Took a War, I'm sharing my research process on A Northern Belle, and I'm being interviewed by Amber Stokes at Seasons of Humility! And that's just the beginning of a week long tour! Also, I'll be posting about the giveaway bundle on Monday morning, so I hope to see you all here on Monday! Making a study guide is a great idea. I never even considerd that for my novel, but it makes a good deal of sense. I'm looking forward to seeing it. Looking forward to seeing you on The Pen of a Ready Writer!!! Thank you for hosting me! Can't wait! That back cover is GORGEOUS. YOU are gorgeous. And wait... a study guide?? That's so cool! !